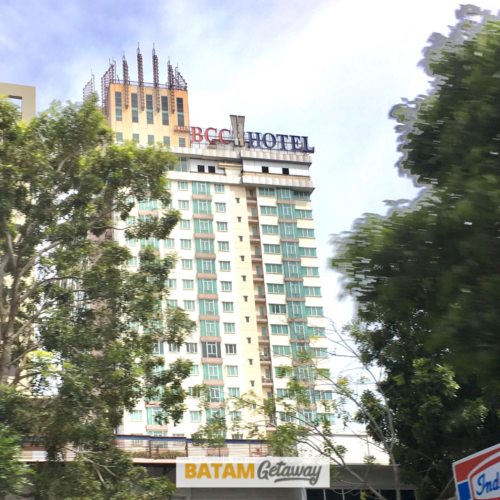 Some of you might not know, but this property is actually both a hotel and a residence, hence the name BCC Hotel & Residence. 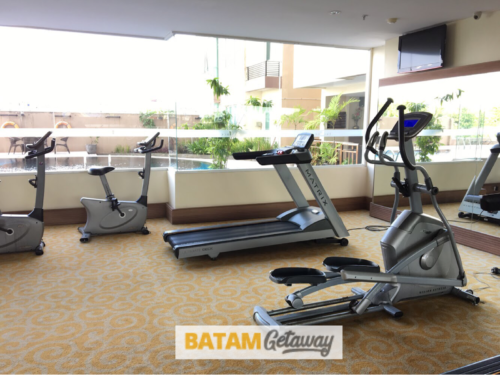 Nevertheless, this Batam BCC Hotel Review will focus on the amenities and services offered from a hotel guest’s viewpoint. 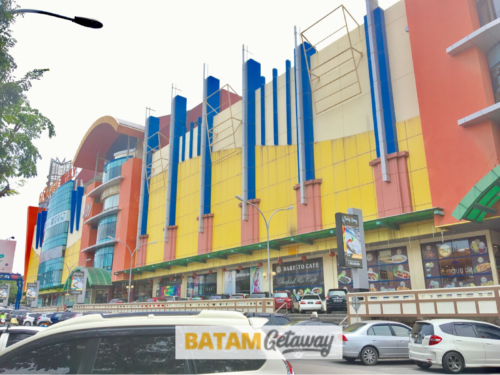 The BCC Hotel is situated right beside (less than 1 minute walk from) the trendy BCS (Batam City Square) Mall and also the Singapore-styled outdoor & indoor A2 Food court. 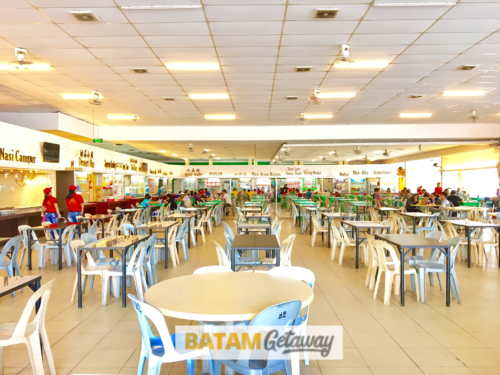 Another hotel that’s also next to BCS Mall and A2 Food Court is the popular I Hotel Baloi. 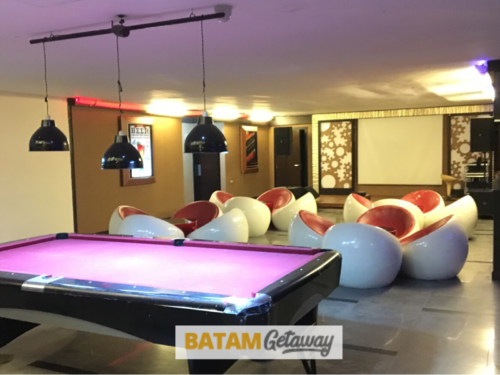 Read our complete I Hotel Baloi review or check I Hotel Baloi’s price and availability. 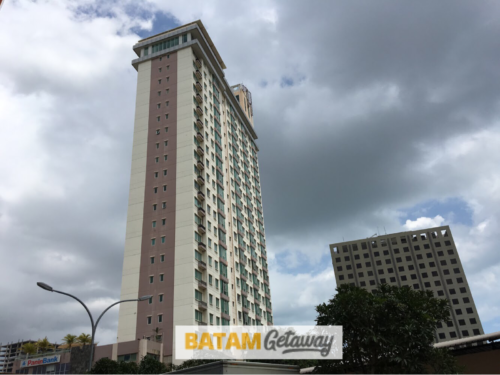 Batam BCC Hotel is conveniently situated in Baloi, the 2nd most popular and comprehensive district after Nagoya Hill. 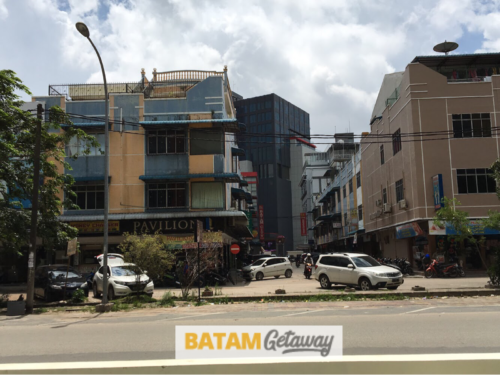 Besides the main BCS Mall, there are countless shop houses around the hotel offering various services: restaurants, spa & massage centres, fashion outlets, money changers, household items, and many more. 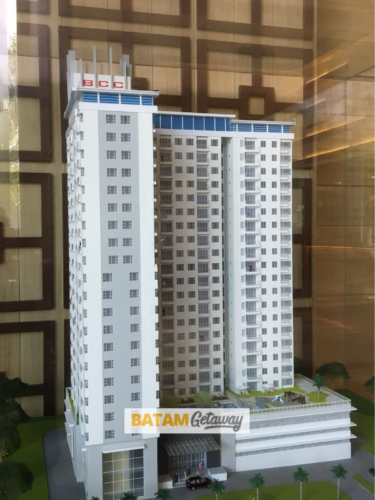 The façade of Batam BCC Hotel resembles an apartment / residential building more than a hotel. It shouldn’t matter though as hotel guests are more interested to know what’s offered in the building rather than out of it. The lobby has a pretty high ceiling and it’s really quite spacious. 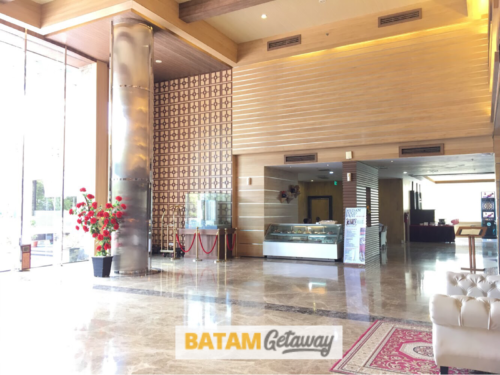 Combined with the marble flooring, you do feel a sense of luxury and grandiose once you are in BCC Hotel’s lobby. 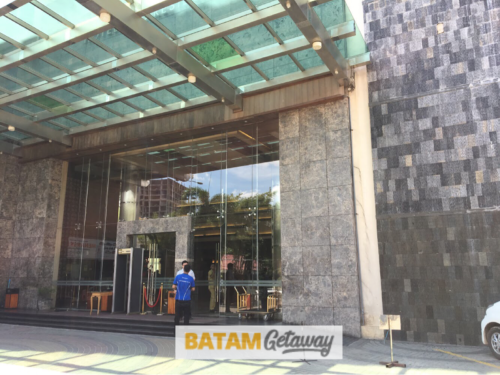 Batam BCC Hotel offers more than 5 room categories, mainly Deluxe, Executive Deluxe, Premiere, Suite, and Royal Suite. 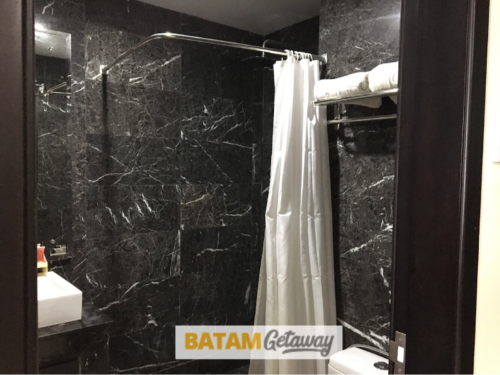 However, due to the constraint of space, we will just cover the 2 most popular room categories; Deluxe and Executive Deluxe. 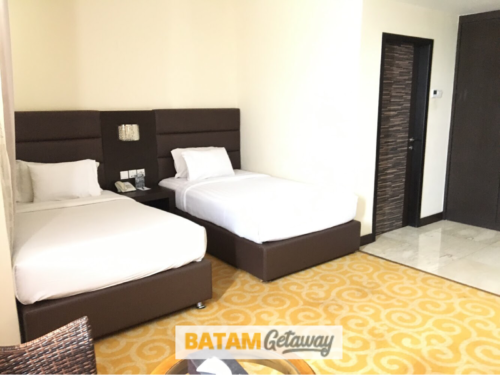 There are 16 Deluxe Rooms in BCC Hotel. Two of them are Double-bedded (King-sized bed) and 14 of them are Twin-bedded (as pictured). One prominent feature of the Deluxe Room, and all other room categories as well, is the size of each room. 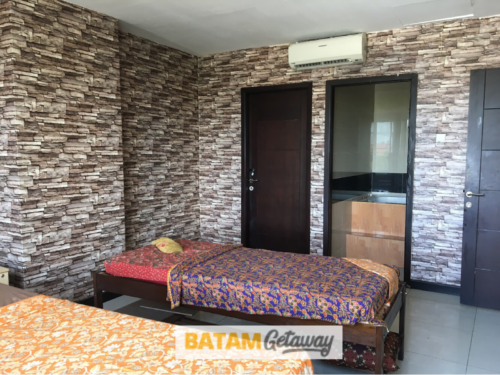 At 34 sqm, or 365 sqft, the rooms are huge! Such a spacious room does give hotel guests a touch of respite and extravagance as not many of us in Singapore have a bedroom as big as this. This category has the highest room count in the whole hotel. There are 40 Executive Deluxe Double Rooms and 57 Executive Deluxe Twin Rooms. At 42 sqm, or 452 sqft, they are significantly larger than the Deluxe Rooms! Ridiculously big is how we would describe it! Our team had a great time staying in the Executive Deluxe rooms. We loved it! 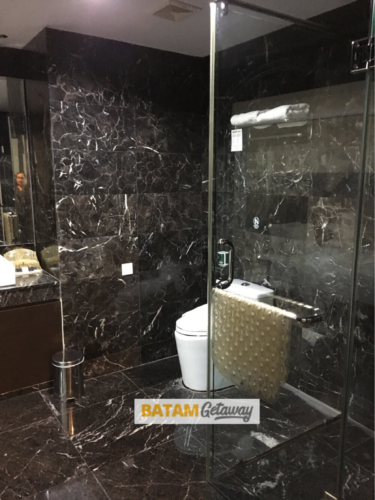 The bathrooms of both room categories differ mainly in terms of their size (as shown in the images below). Both are elegantly tiled and designed. Classy! As a 4-star hotel that delivers rather strongly in many areas, our team feels that the condition of their spa rooms as well as the quality of its service have let itself down. Unless you have serious mobility issue, we’d suggest you try out one of the many massage / spa establishments around the area. 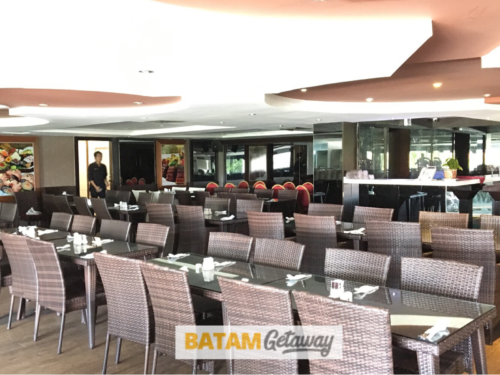 Breakfast area is considerably big with a wide range of food selection. Nothing out of the ordinary. Acceptable & reasonable. 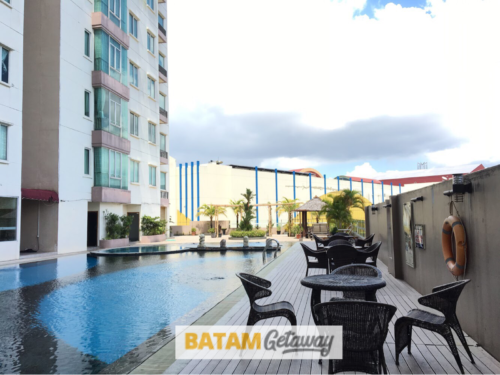 Like many city hotels these days that are built on limited land area, BCC Hotel’s swimming pool is not located on the ground floor. The swimming pool is also purposefully placed right beside the gym. It’s not the widest and longest pool but it does serve the function. Pretty standard. Compared to many city hotels’ gyms, this gym is, again, spacious. 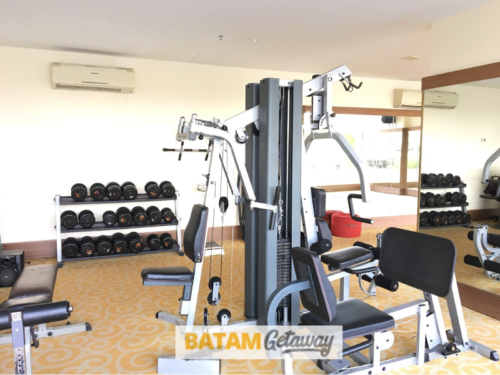 It has enough space to conduct yoga or other aerobic classes for easily up to 20-30 persons. Equipment-wise, they have it pretty complete at a glance. We say it’s a good gym. 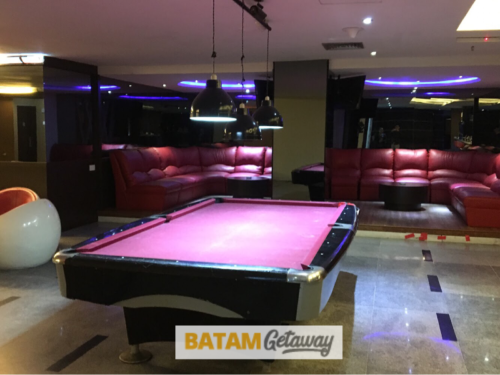 Despite the fact that it’s a 4-star hotel with comprehensive facilities and strategic location, the hotel has an extremely reasonable pricing. 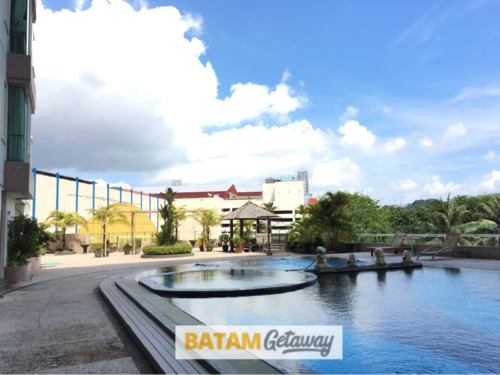 A 2D1N (2-days-1-night) BCC hotel + ferry package will cost you just S$48 per person on a weekday and S$58 on a weekend. 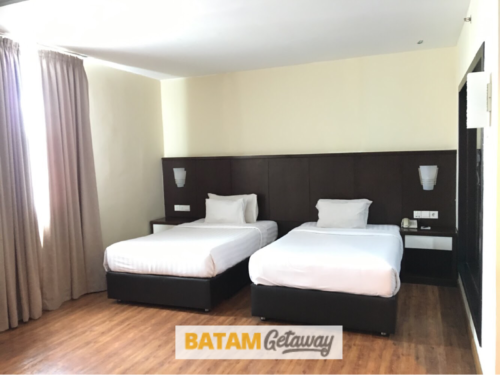 This price includes 1 night stay with breakfast, 2-way ferry tickets from Singapore, and 2-way Batam land transfers (to and from Batam ferry terminal). 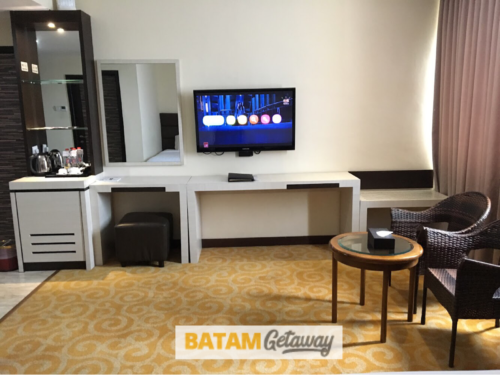 There are really not many good 4-star hotels in Batam, especially in Baloi area. 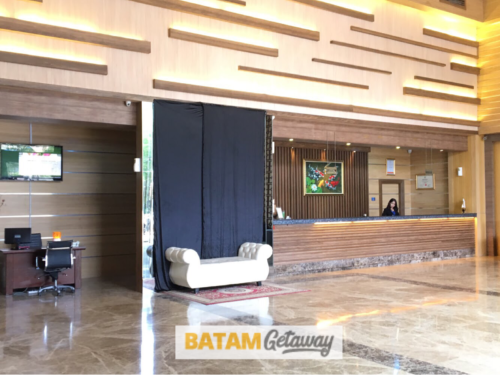 If you’re a particular traveller who likes a hotel with spacious rooms, complete amenities, and wonderful location, you should really consider Batam’s BCC Hotel. 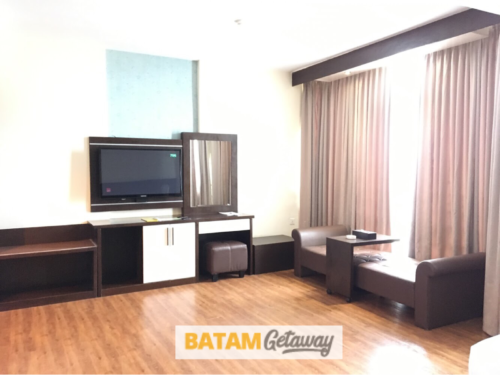 * Do take note that the hotel charges different rates for a weekday or a weeknight stay. Also, during the peak season or on public holidays, the hotel imposes some peak surcharges. Verdict: Worth trying if you’re planning to stay in Baloi! How I should do for making payment transaction, please? I would like to reserve 2D1N BCC hotel + ferry package S$48 for 1 person on a weekday at 13 Oct 2017. 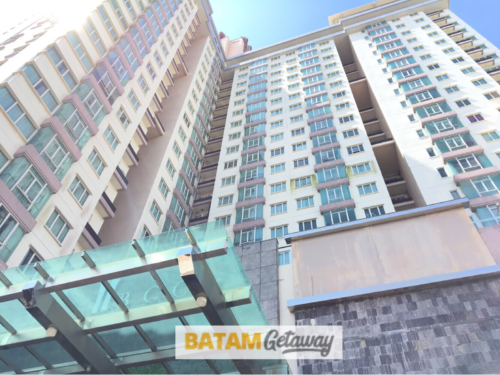 This price includes 1 night stay with breakfast, 2-way ferry tickets from Singapore, and 2-way Batam land transfers (to and from Batam ferry terminal). 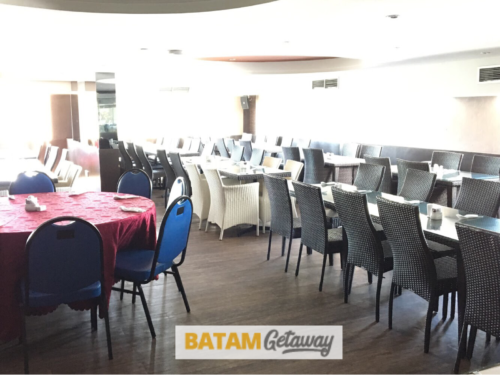 Hi Waty, thank you for your interest in confirming your Batam trip with us. We have emailed you on your request. Please do check it out.